← KENTUCKY here I come ……. My very first blog, which was only as recent as 1st January 2015, was entitled iPhone or Garmin? Cockrobbinn had a Garmin Dakota 10 for Christmas which he is slowly getting used to (by his own admission, he is a neanderthal when it comes to computers or gadgets) but I still like using my iPhone except when it slips out of my hand and crashes on to the icy ground. I was lucky; it bounced and apart from being a bit dirty, no damage was done. However, I am very wary of dropping it now especially when climbing over styles, fighting my way through brambles and just generally Geocaching which, as we all know, can sometimes lead to the most unexpected places. Cockrobbinn’s Garmin is on a lanyard around his neck which I thought was quite a good idea so I started looking out for a suitable cover for my iPhone but hadn’t had much luck until I spotted the spare iPhone pouch which I bought last Autumn for attaching the phone to the handlebars of my new bike (another story here). The first pouch arrived with the plastic clip on the back broken so it was useless to attach to its bracket but the company very quickly sent me a replacement and told me to dispose of the original. What better use could I put this spare cover to than on a lanyard for Geocaching. It even had a loop on the back to thread a cord through. I was over the moon. It works perfectly and I can still navigate to different caches through the clear cover. Absolutely thrilled with it. Just hoping Cockrobbinn will bring me home a nice lanyard from his office and not one covered with ships or oil-drilling platforms!! 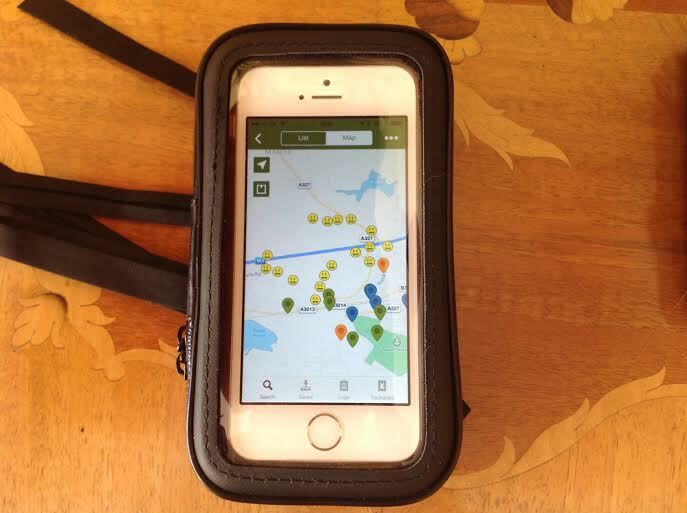 I seem to be very easily pleased at the moment as my Bod Charger arrived and I am delighted with it; especially how it tracks my progress on a map and the caches I have found. 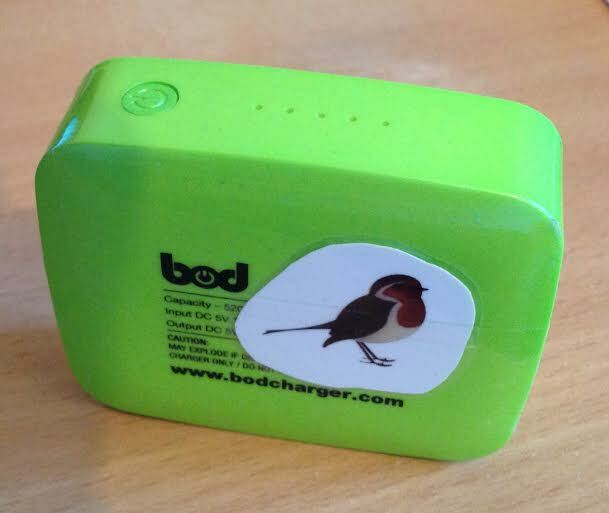 For my muggle friends who read this blog – A Bod Charger or Battery On Demand is a portable 5,200 mAh battery pack / charger. It will provide hours of extra power for devices such as mobiles, smartphones, iPhones, tablets, cameras and GPS receivers. It is very small at 7.7 x 6.3 x 2.3cm; weighs only 130g and fits easily into a pocket or bag. 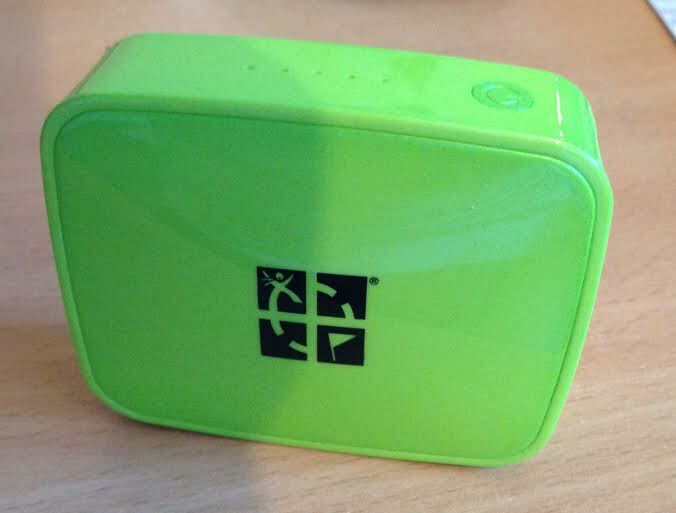 With the Geocaching logo on the side (and my logo on the back !!) this charger comes with a unique number and is fully trackable on Geocaching.com. Naturally, I have called my charger BodRobbinn! Not a good picture but it does give some idea of how it tracks my finds over the past few days. If anyone remembers my blog on our visit to Paris in January we had one disappointment in that we couldn’t leave a Travel Bug during our time there as the only caches we found were small magnetic ones. We had only ever left one Travel Bug before (Whiskers) on New Year’s Eve to celebrate our 100th find. He had been left in a cache in Owlsmoor, close to our home and was retrieved on 18th January and taken to Ockham on 20th January by another Geocacher. Whiskers the Cat was retrieved again on the very same day from his new home in Ockham by Fennyflip who took him on his travels in this country and then on 2nd February left him in this cache in PARIS after having visited most of the sites (and more) which we had also found in that city. Whiskers has now travelled 261.8 miles and this is hopefully the start of a very interesting journey for him. Who says coincidences don’t happen! Update: Another coincidence? Cockrobbinn remembered to find me a lanyard today – brownie points will be awarded! No ships, no oil-drilling platforms but with the logo of ‘Fugro’ – checked them out online and they are concerned with Geological, Geophysical, Geotechnical, Geohazard, Geoconsultancy……….. but not a single word about Geocaching !!!! Perhaps I will get Cockrobbinn to contact them, tell them about our hobby and suggest they add Geocaching to their list! 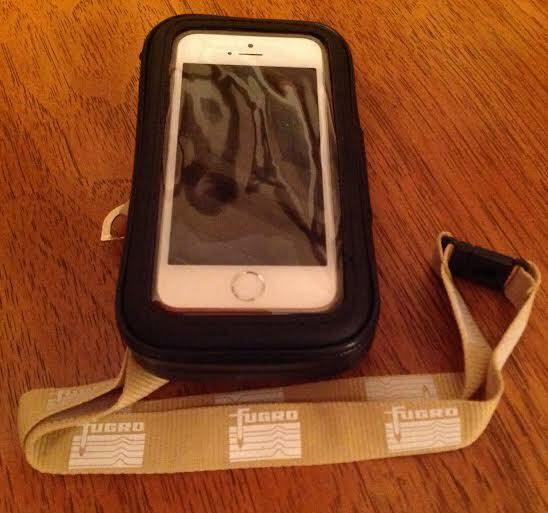 This entry was posted in Bod Charger, Garmin, Geocaching, iPhone, Trackables, Travel Bugs and tagged Bod Charger, Garmin, iPhone, Paris, Travel Bug. Bookmark the permalink. 3 Responses to Geo-this, Geo-that, Geo-everything! I bought mine from pulse72geocaching.co.uk. It charges my iPhone really quickly and is small enough to carry about.